In 1981, the World Health Assembly (WHA) adopted the International Code of Marketing of Breastmilk Substitutes (the Code), to date completed and extended by fifteen subsequent relevant WHA resolutions forming integral part of it. The Code aims to ensure that parents can make fully informed decisions about infant and young child feeding by banning marketing practices that undermine breastfeeding. The Code thus contributes to safeguarding the health of infants and young children. In 1989, the Convention on the Rights of the Child (CRC) has enshrined breastfeeding protection, promotion and support in its article 24, which articulates the right of the child to the enjoyment of the ‘highest attainable standard of health’. The CRC’s General Comment No. 15 (2013), which interprets this right, specifies that besides States’ obligation to implement and enforce the Code (para 44), baby food companies have the direct obligation to comply with it in all contexts (para 81, emphasis added). Notwithstanding this obligation, since 1981, baby food companies have systematically violated the Code provisions by malevolent marketing practices and tactics that mislead consumers and health professionals. The latest monitoring report Breaking the Rules 2014 published by the IBFAN’s International Code Documentation Centre covers 27 companies and presents 813 violations in 81 countries. It reminds the world that breastfeeding rates will continue to decline with the inevitable consequence of increased mortality and morbidity in infants and young children as long as corporate strategies that violate the Code continue. At present, there is no effective global mechanism that would ensure accountability of baby food companies which all seem prone to evade their human rights obligations in the absence of an effective sanction mechanism. Relying on implementation of the Code at country level has proven to be an unsatisfactory solution as all over the globe, baby food companies systematically resisted these efforts. Even in the minority of countries that have been successful and adopted adequate laws to regulate marketing of breastmilk substitutes, these companies, using their political influence and economic power, directly challenged the domestic law (e.g. in India) or resisted the adoption of enforcement mechanisms (e.g. in the Philippines). The 33-year experience of Code implementation provides a strong argument to illustrate the necessity of a binding treaty on obligations of TNCs under human rights, a crucial step to the fulfilment of human rights of every human being, in this particular case of every child. Non-binding international recommendations, such as the Code, or “voluntary” corporate social responsibility measures, such as those indicated in the UN Guiding Principles, have failed to make TNCs liable for their human rights violations. 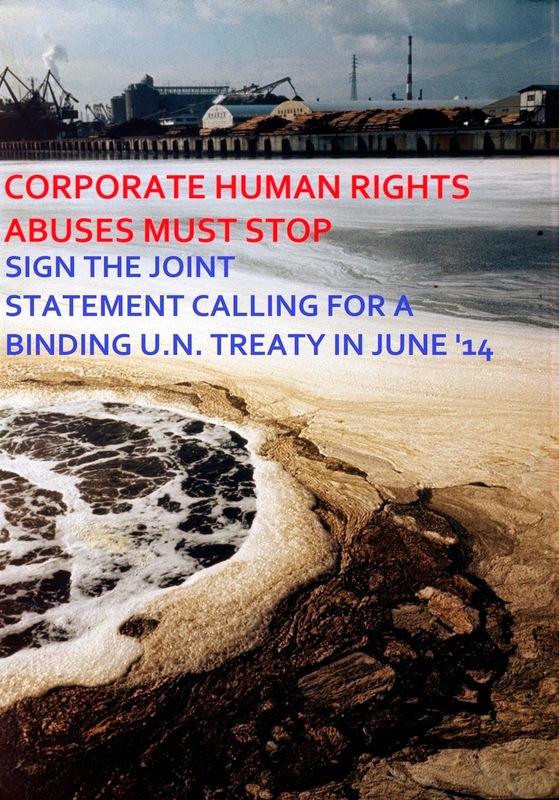 Were a binding treaty on TNCs’ obligations adopted, violations of child rights caused by baby food companies would no doubt diminish, and those identified could be prosecuted and firmly sanctioned by an independent international judicial body. The treaty would help ensure the right of children to adequate food and nutrition as well as to health through the respect of the Code at global scale.